Ya gotta love a holiday centered around drinking and rowdy behavior. That’s St. Patrick’s Day for you. Drunken revelry wasn’t always the image conjured up by those enjoying what was originally a religious celebration; it started as a religious holiday named for a patron saint of Ireland. Yet, leave it to party people everywhere to shift the focus. But, like the rest of the masses eager to grasp at any straw of Irish heritage, we dig the emerald-colored holiday as much as anyone. 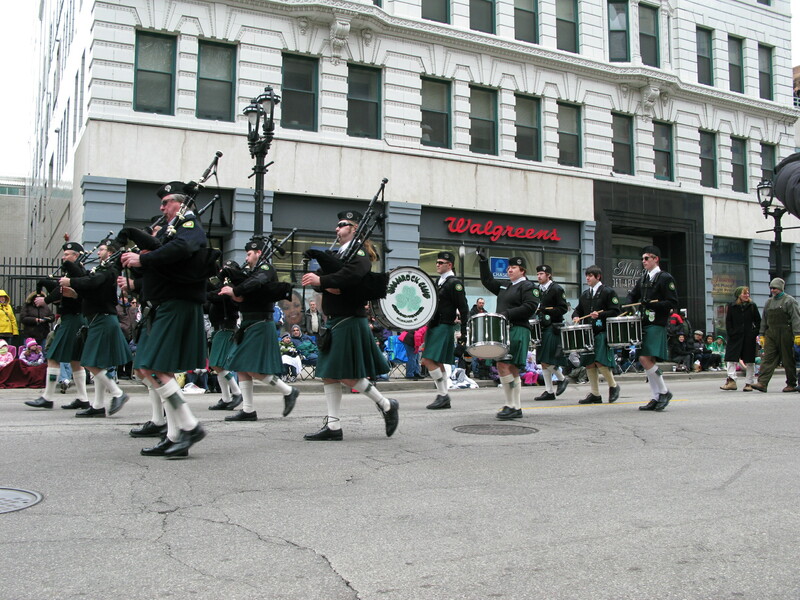 We were excited to learn after moving to downtown Milwaukee that the annual St. Patrick’s Day Parade is a pretty big deal here. And, even better, the parade starts mere steps away from our front door. So we fished clothes the color of envy out of our closets, purchased some Irish beer and readied ourselves to celebrate St. Patty’s Day in our new city. Well, let’s just say folks around here take their celebrating seriously. I came to the conclusion pretty quickly that I wasn’t wearing near enough green. I didn’t get the memo about the green hat, green jewelry, green shoes and yes, even green eye makeup. And, despite our best efforts, we really did not match the levels of enthusiasm displayed throughout the day. We tried our best; we started the day with breakfast and beer (That’s right; we put on our big kid pants and had beer with breakfast — that’s how much of an effort we put forth.) But after an hour of parade watching (And, boys and girls, it was nowhere near finished.) and a beer later, we were ready to couch it. Does that make us old? Does that make us fogies? I prefer to think of it as having refined tastes. Tastes for relaxation, tastes for an afternoon free of headache or hangover and tastes for water to wash the noon-day beer taste from our palates. This entry was posted in Uncategorized and tagged holiday, old, St. Patrick's Day. Bookmark the permalink.